BBC published the new photo on Thursday, and in it, we see The Doctor standing on a blissfully green hill with the TARDIS in the background. The costume itself offers several shades of blue not all that different to the color of the TARDIS, but yellow suspenders and a colorful series of stripes on the top offer accent colors. Her layered jacket has a navy blue interior and a lighter grey exterior. All in all, she’s got the fashion sense of 11, the color palette of 4 and 6, and 12’s boots. Her costume feels like it respects the zaniness of the Doctors that came before her while also creating a look that’s uniquely her own and totally stylish in what some might call a “hipster” kind of way. Jodie Whittaker's Doctor will have a costume full of flair, style, and hipster spirit. In a very charming way, Jodie Whittaker’s incarnation almost looks like a witch in the Harry Potter universe trying to pass as a Muggle. She doesn’t look quite as “normal” as, say, Young Dumbledore or even Newt Scamander, but there’s still an energetic splash of bright colors that subtly convey a sense of the fantastical. The costumes of several past Doctors could definitely be called “hipster,” whether it’s the loose-fitting suits and Converse of 10, the magician coats worn by 11 and 12, or even just the bowtie and suspenders of early-era 11. But what do we mean when we say “hipster?” Usually, that term refers to clothing worn by one generation that they’ve appropriated — or stolen — from another generation. Which, if you think about it, sort of defines what fashion would be like for a time traveler who is over 2,000 years old. You’d constantly be borrowing from the past to inform your fashion choices in the present. 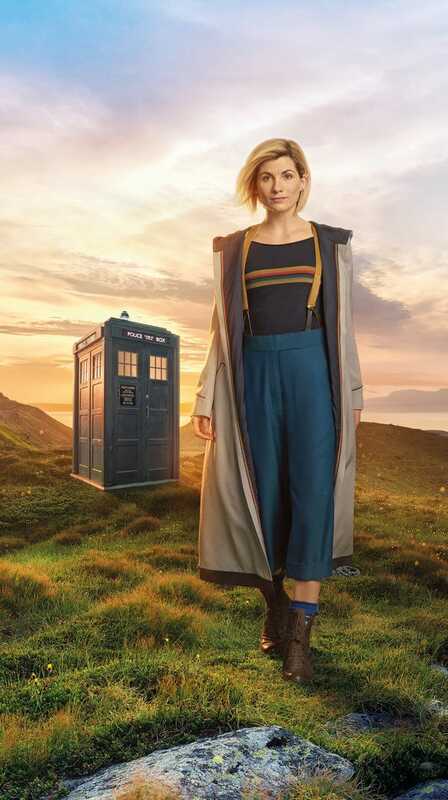 So, the 13th Doctor’s outfit manages to straddle the line between weird and genuinely stylish in a way that matches, and perhaps beats, even Capaldi’s best costumes in terms of sheer style. Most Doctor costumes look at least a bit alien, but real people could wear this. Real people will wear this. How might this new look change over time, considering we’ve seen each Doctor in recent memory evolve a bit each season? Jodie Whittaker’s 13th Doctor will make her debut in the Doctor Who Christmas special on December 25, 2017.